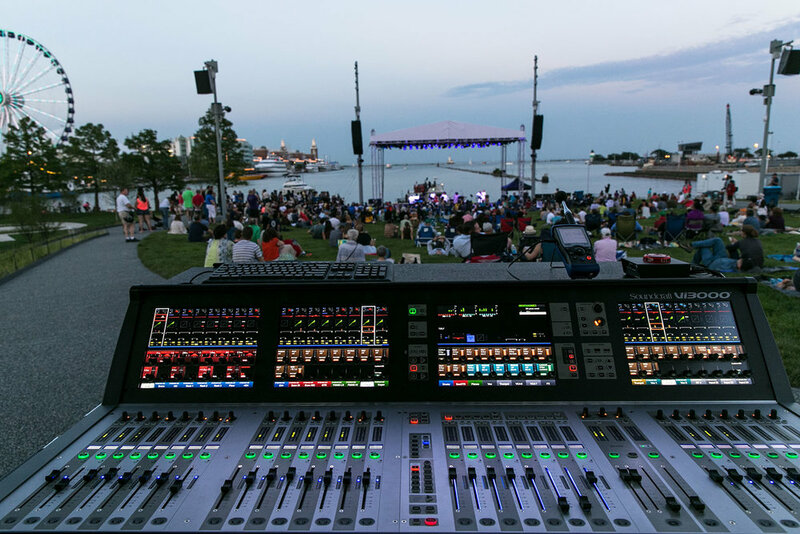 Chicago’s vibrant lakefront is now the home of two new seasonal outdoor performance spaces. The Performance Lawns, located to the south of the main entrance to Navy Pier, are part of an ongoing revitalization effort for one of Chicago’s most popular tourist destinations. The urban location is in close proximity to neighboring residential and commercial areas. The audio systems for the stages were carefully designed to minimize spill towards nearby residential high-rise buildings, aided by berms designed into the landscaping to provide acoustic shielding around the sites.